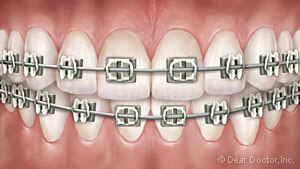 It is estimated that approximately one fourth of all orthodontic patients are adults. Adults understand that a smile is an investment that has tremendous benefits. There are many reasons why it is never too late for orthodontic treatment. 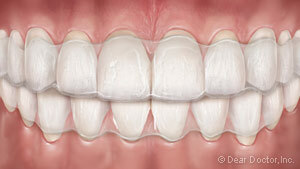 Self-Esteem: It has been proven that having straight teeth can boost one’s self confidence. Confidence can give you an advantage in your social lie, personal life, and professional life. 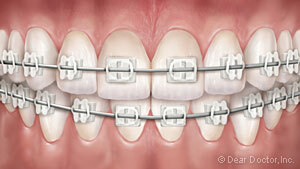 Teeth shifted: Maybe you had braces as a kid and did not wear your retainer. Perhaps you never had braces but you have noticed the alignment of your teeth or bite getting worse over time. Teeth continue to shift throughout life. If you are unhappy with the gradual shifting of your teeth over time, you may be a candidate for limited or full treatment. Dental health: Crowding, missing teeth, or bite problems can cause long-term dental health problems including dental decay, gum disease, wear of the enamel, or super eruption of teeth. At About Faces and Braces we will work closely with your restorative dentist to develop the most appropriate treatment plan. Why is orthodontic treatment important for adults?